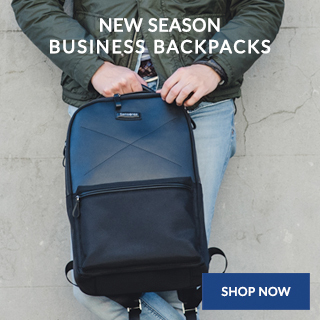 We are delighted to welcome you to the Samsonite website, the official online store for the brand Samsonite, where you can browse, select and order products advertised on the website from Samsonite Australia Pty Ltd.
Samsonite uses its best efforts to keep the information on the Website updated. However, it is not possible to guarantee the complete absence of errors on the Website. The information and other material published on this Website may include inaccuracies or typographical errors. The weights, dimensions and volumes of the products are approximate only. We have made reasonable efforts to ensure that product information is accurate and to display as accurately as possible the colours of our products. However, we cannot guarantee that your screen’s display will accurately reflect the colour of the product on delivery. Changes are periodically made to the information on the Website without notice to you. Samsonite reserves the right to change the Site at any time, in its discretion. 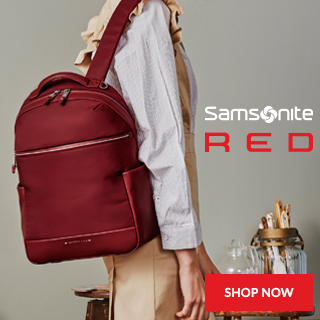 Samsonite does not warrant that the functions contained in the Website or any materials or content contained therein will be uninterrupted or error free, that defects will be corrected, or that the Website or the server that makes it available is free of viruses or other harmful components. Samsonite shall not be liable for the use of the Website, including, without limitation, the content and any errors contained therein. Samsonite online offers and promotions may only be used at the Website and do not apply to purchases at other online or retail outlets. You may receive online offers and promotions which include a promotional or coupon code (Code) for use when shopping at the Website. It is your responsibility to ensure that the Code is valid, and that you enter the Code at the time of making your purchase online. We cannot apply the Code retrospectively once you have submitted your Order. Samsonite offers an additional commercial warranty on certain products. For details of this warranty, please refer to the warranty card attached to the product and/or to the Website. All content, graphics, user and visual interfaces, photographs, trademarks, logos, artwork, and computer code, including but not limited to the design, structure, selection, coordination, expression and arrangement of such material contained or used in the Website is either owned, controlled, or licensed to Samsonite, or is otherwise subject to the intellectual property rights of third parties and is protected by copyright, patent and trade mark laws and various other intellectual property rights. We reserve all intellectual property rights, including but not limited to, copyright in material and/or services provided or authored by us. Nothing in the Agreement gives you a right to use any of our marketing material, business names, trademarks, logos, images, domain names or other distinctive brand features. 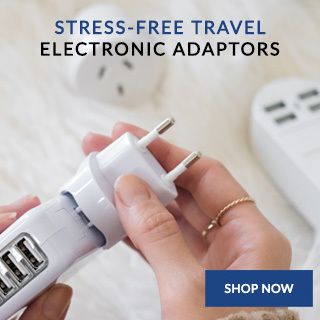 If you have any questions, or if you have technical problems in accessing information on our Website, please email online.au@samsonite.com or call 1800 331 690. A submission will not in any way establish a confidential relationship nor will it place Samsonite in the position of receiving a submission in trust and Samsonite shall not be obligated and makes no commitment to treat or maintain as confidential such submissions. Samsonite shall have the right to retain any material submitted to it, to make copies thereof and to retain the same in its files. No obligation is assumed by Samsonite or may be implied by the receipt or examination of the submission unless or until a formal written agreement signed by Samsonite and by you, and then Samsonite’s obligations shall be only as expressed in that written agreement. These Terms and Conditions govern the Promotion. Information on how to enter and the prizes form part of these Terms and Conditions. Participation in this Promotion is deemed acceptance of these Terms and Conditions. Any entry not complying with these Terms and Conditions is invalid. Entry is only open to Victorian residents only. Promotion commences 12am AEST Monday 14th May 2018 ("Opening Date") and closes at 11:59pm AEST Wednesday 23rd May 2018 ("Closing Date"). At the activation you must fill in your First Name, Last Name, Email, Phone and select your wish list from products listed. There is one entry limit per person. No entries shall be accepted before the Opening Date or after the Closing Date. Third party or bulk entries will not be accepted and entries not in accordance with the entry instructions are invalid. This competition is based on a game of chance. All valid entries received over the course of the Promotion will be entered into the selection process for the prizes. The daily prize selection will take place at Samsonite Australia, 5 Anzed Court, Mulgrave 3170 Victoria on the following dates. Day One (covering the period from 12am AEST Monday 14th May 2018 - 11:59pm AEST Monday 14th May 2018) - Winner selected and notified 12pm AEST Friday 18th May 2018. If Winner/s are not contactable or a prize is not claimed by Winner/s within 1 month, the Prize will be forfeited and the re-selection process will take place 12pm (noon) AEST Monday 18th June 2018. The winner/s, if any, will be announced on Friday 22nd June 2018 at 2pm AEST, at the same place as the original selection, subject to any directions from a regulatory authority. The winner/s, if any, will be notified by phone and email. Day Two (covering the period from 12am AEST Tuesday 15th May 2018 - 11:59pm AEST Tuesday 15th May 2018) - Winner selected and notified 12pm AEST Friday 18th May 2018. Day Three (covering the period from 12am AEST Wednesday 16th May 2018 - 11:59pm AEST Wednesday 16th May 2018) - Winner selected and notified 12pm AEST Friday 18th May 2018. Day Four (covering the period from 12am AEST Monday 21st May 2018 - 11:59pm AEST Monday 21st May 2018) - Winner selected and notified 12pm AEST Friday 25th May 2018. If Winner/s are not contactable or a prize is not claimed by Winner/s within 1 month, the Prize will be forfeited and the re-selection process will take place 12pm (noon) AEST Monday 25th June 2018. The winner/s, if any, will be announced on Friday 29th June 2018 at 2pm AEST, at the same place as the original selection, subject to any directions from a regulatory authority. The winner/s, if any, will be notified by phone and email. Day Five (covering the period from 12am AEST Tuesday 22nd May 2018 - 11:59pm AEST Tuesday 22nd May 2018) - Winner selected and notified 12pm AEST Friday 25th May 2018. Day Six (covering the period from 12am AEST Wednesday 23rd May 2018 - 11:59pm AEST Wednesday 23rd May 2018) - Winner selected and notified 12pm AEST Friday 25th May 2018. The winner/s will be notified by phone and email. Once the winner/s are confirmed it will be announced on Samsonite Australia & NZ Facebook page with a Promotion post including the winner/s names. The Promoter reserves the right, at any time, to verify the validity of entries and entrants (including an entrant’s identity and place of residence) and to disqualify any entrant who submits an entry that is not in accordance with these Terms and Conditions or who tampers with the entry process. Errors and omissions may be accepted at the Promoter's discretion. Failure by the Promoter to enforce any of its rights at any stage does not constitute a waiver of those rights. Subject to the unclaimed prize draw clause, if for any reason a winner does not take a prize (or an element of the prize), then the prize (or that element of the prize) will be forfeited. Total prize pool value is up to $11,976 AUD RRP (eleven thousand, nine hundred and seventy six Australian dollars). Any cost associated with accessing the Promotion website is the entrant’s responsibility and is dependent on the Internet service provider used. Nothing in these Terms and Conditions limits, excludes or modifies or purports to limit, exclude or modify the statutory consumer guarantees as provided under the Competition and Consumer Act, as well as any other implied warranties under the ASIC Act or similar consumer protection laws in the States and Territories of Australia and New Zealand (“Non-Excludable Guarantees”). Except for any liability that cannot by law be excluded, including the Non-Excludable Guarantees, the Promoter (including its respective officers, employees and agents) excludes all liability (including negligence), for any personal injury; or any loss or damage (including loss of opportunity); whether direct, indirect, special or consequential, arising in any way out of the promotion. Except for any liability that cannot by law be excluded, including the Non-Excludable Guarantees, the Promoter (including its respective officers, employees and agents) is not responsible for and excludes all liability (including negligence), for any personal injury; or any loss or damage (including loss of opportunity); whether direct, indirect, special or consequential, arising in any way out of: (a) any technical difficulties or equipment malfunction (whether or not under the Promoter’s control); (b) any theft, unauthorised access or third party interference; (c) any entry or prize claim that is late, lost, altered, damaged or misdirected (whether or not after their receipt by the Promoter) due to any reason beyond the reasonable control of the Promoter; (d) any variation in prize value to that stated in these Terms and Conditions; (e) any tax liability incurred by a winner or entrant; or (f) use of a prize and/or participation in any holiday prize. As a condition of accepting a prize, each winner (and his/her/their companion, if applicable) must sign any legal documentation as and in the form required by the Promoter and/or prize suppliers in their absolute discretion, including but not limited to a legal release and indemnity form. Any questions, comments or complaints about this Promotion must be directed to the Promoter. The Promoter is Samsonite Australia Pty Ltd (ABN 31 006 363 248) of 5 Anzed Court, Mulgrave, VIC 3170. Phone +61 3 9549 3444. Promotion commences 12am AEDT Thursday 29th November 2018 ("Opening Date") and closes at 11:59pm AEDT Sunday 2nd December 2018 ("Closing Date"). You must purchase a product from the Warehouse Sale. At the Warehouse Sale (23a Smith rd, Springvale) you must fill in your First Name, Last Name, Email, Contact Number, mark if you have purchased and mark that you accept these Terms and Conditions. Proof of purchase must be supplied to claim your prize. The minor prize will consist of one (1) daily prize, selection will take place at Samsonite Australia, 5 Anzed Court, Mulgrave 3170 Victoria on the following dates. Day One (covering the period from 12am AEDT Thursday 29th November 2018 till 11:59pm AEDT Thursday 29th November 2018) - Winner selected and notified by 12pm AEDT Thursday 6th December 2018. If Winner/s are not contactable or a prize is not claimed by Winner/s within 1 month, the Prize will be forfeited and the re-selection process will take place 12pm (noon) AEDT Monday 7th January 2019. The winner/s, if any, will be announced on Thursday 10th January 2019 at 2pm AEDT, at the same place as the original selection, subject to any directions from a regulatory authority. The winner/s, if any, will be notified by phone and email. Day Two (covering the period from 12am AEDT Friday 30th November 2018 – 11:59pm AEDT Friday 30th November 2018) - Winner selected and notified by 12pm AEDT Thursday 6th December 2018. Day Three (covering the period from 12am AEDT Saturday 1st December 2018 – 11:59pm AEDT Saturday 1st December 2018) - Winner selected and notified by 12pm AEDT Thursday 6th December 2018. Day Four (covering the period from 12am AEDT Sunday 2nd December 2018 – 11:59pm AEDT Sunday 2nd December 2018) - Winner selected and notified 12pm AEDT Thursday 6th December 2018. The major prize will consist of one (1) prize, selection will take place at Samsonite Australia, 5 Anzed Court, Mulgrave 3170 Victoria on the following dates. Covering the period from 12am AEDT Thursday 29th November 2018 – 11:59pm AEDT Sunday 2nd December 2018. Winner selected and notified 12pm AEDT Thursday 6th December 2018. 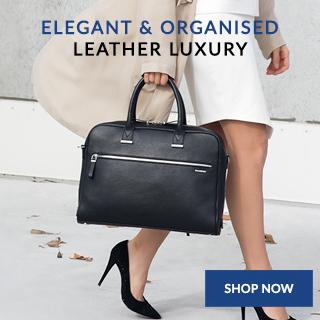 The Competition is run by Samsonite Australia Pty Ltd (ABN 310 063 63 248) of 5 Anzed Court, Mulgrave Victoria 3170. Telephone (03) 9549 3444. The Competition opens at 00:01am (AEST) on Friday 1st June, 2018 (the “Opening Date”) and closes at 23:59pm (AEST) on Saturday 30th June, 2018 (the “Closing Date”). The Competition prize consists of one major prize; x1 55cm 10YR Anniversary Cosmolite Suitcase ($679.00 RRP). To be eligible to win the major prize entrants need to make a purchase of $300.00 or over from www.samsonite.com.au in the month of June 2018 & enter 25 words or less on why they would like to win the limited edition Cosmolite 10YR limited edition suitcase. The 25 words or less mechanic will be housed on the Cosmolite 10YR product page on www.samsonite.com.au and entrants will need to supply their email address to validate their entry. Entry to the competition is based on a game of skill. 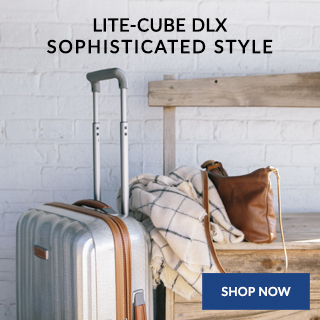 The Competition is only open to Entrants in Australia who make a purchase of $300.00 or over from samsonite.com.au in the month of June 2018, who enter 25 words or less on why they would like to win the limited Cosmolite 10YR limited edition suitcase & supply their email address to validate their entry. The Competition prize consists of one major prize; 1 x 55cm 10YR Anniversary Cosmolite Suitcase ($679.00 RRP). The draw for the one (1) Samsonite 55cm 10YR Anniversary Cosmolite suitcase ($679.00 RRP) will take place at Samsonite Australia Pty Ltd (ABN 310 063 63 248) of 5 Anzed Court, Mulgrave at 10:00 am (AEDST) on Wednesday 4th July 2018. The winner will be notified within two (2) business days of the draw. The Promoter’s decision is final and no correspondence will be entered into. Once the winner has been contacted & verified, the winners will be published on the Samsonite Australia Facebook page (www.facebook.com/SamsoniteAustraliaNZ). Samsonite Australia will contact the winner via email and telephone with further details on how to claim their prize. Samsonite Australia will arrange for delivery of the Prize to the winner at an agreed Australian address. Once the winner has been notified please allow twenty-eight (28) days for delivery from the draw date. The winner is given three (3) months to claim their prize. 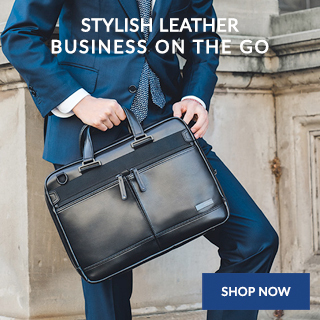 If the winner does not respond within this time, Samsonite Australia reserves the right to select another winner from the remaining eligible entries. A draw for any unclaimed, will take place at 10:00 am on Monday 1st October 2018, at Samsonite Australia Pty Ltd (ABN 310 063 63 248) of 5 Anzed Court, Mulgrave, subject to any directions from a regulatory authority. The winner, if any, will be notified by telephone and email. Samsonite Australia & New Zealand shall not be liable for any claims or complaints of any nature with respect to the Prize. There is no cash alternative and the Prize is not negotiable, transferable or returnable. The Winners agree not to sell, offer to sell or use the Prize for any commercial or promotional purposes (including the Prize on an internet auction site). The Promoter reserves the right, at any time, to verify the validity of sales and entrants (including an entrant’s identity, age and place of residence) and to disqualify any entrant who submits a sale that is not in accordance with these Terms and Conditions or who tampers with the sale & entry process. Errors and omissions may be accepted at the Promoter's discretion. Failure by the Promoter to enforce any of its rights at any stage does not constitute a waiver of those rights. The Promoter reserves the right, at any time, to invalidate any sales & entries which it reasonably suspects have been submitted using false, incorrect, fraudulent or misleading information, including but not limited to personal details and contact information that have been submitted through the use of multiple identities, email addresses or accounts. Except for any liability that cannot by law be excluded, including the Non-Excludable Guarantees, the Promoter (including its respective officers, employees and agents) is not responsible for and excludes all liability (including negligence), for any personal injury; or any loss or damage (including loss of opportunity); whether direct, indirect, special or consequential, arising in any way out of: (a) any technical difficulties or equipment malfunction (whether or not under the Promoter’s control); (b) any theft, unauthorised access or third party interference; (c) any entry or prize claim that is late, lost, altered, damaged or misdirected (whether or not after their receipt by the Promoter) due to any reason beyond the reasonable control of the Promoter; (d) any variation in prize value to that stated in these Terms and Conditions; (e) any tax liability incurred by a winner or entrant; or (f) participation in a prize. Any personal data that you provide will be held and processed in accordance with the requirements of the 1998 Data Protection Act. 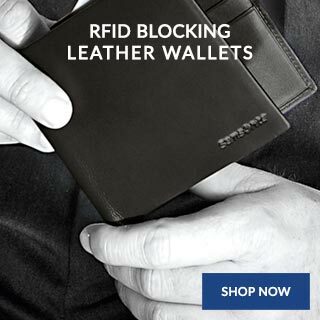 Subject to any written directions from a regulatory authority, Samsonite Australia & New Zealand reserves the right to amend these Terms and Conditions and/or cancel the Competition at its sole discretion. These Terms and Conditions govern the Competition. Information on how to enter and the prizes form part of these Terms and Conditions. Participation in this promotion is deemed acceptance of these Terms and Conditions. Any entry not complying with these Terms and Conditions is invalid. Entry is only open to Australian residents who have a legitimate Facebook or Instagram account and must be aged 15 years of age at the time of winning or over. Promotion commences Friday 8th March and closes Thursday 14th March 2019. Tell us in the comments; Hardside Vs Softside! Which do you prefer and why? One entry per Facebook and/or Instagram account permitted. Two winners will be awarded as the best comment as judged by Samsonite. This is a game of skill. Samsonite will arrange the delivery of the prizes to the winner’s postal address (no PO boxes) within Australia only. The promoter is not responsible for any fees or add-on expenses not included in the stated prize pack, including but not restricted to fees for accessing websites, stores, etc. Any cost associated with accessing the Facebook or Instagram page is the entrant’s responsibility and is dependent on the Internet service provider used.